Whatever that means. I don’t speak any Spanish, but it is Wednesday, and in the late hours of the Twilight, I am sending out my Spotlight. Hey Kristen Stewart…tickle this pickle! Jerry Gergich is the man, and this is all his. It has been a long time since I have written a spotlight like this, where it goes to a character that doesn’t actually exist. Jerry Gergich is the boss, and the world is his applesauce. 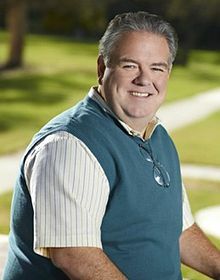 He is portrayed by Jim O’Heir on the show “Parks and Recreation.” Jerry is the forgotten heart of the show. He doesn’t even get a credit in the theme song. Jerry is a fantastically-skilled painter, even though he has the tendency to turn small Indian men into fat babies, but even Jesus had his foibles. People always try to put Jerry down, but really, he is a warm-hearted individual. Sometimes he uses words like “murinal,” but that is no reason to make him feel any lower. Jerry is my man, and I know that if he were to exist, we would eat burritos, nachos, and lots of tacos together. And if we saw Kristen Stewart, we would shout . Oh yes, we’d go pretty damn sour. Do you miss Jason Bourne? Do you know Jerry Gergich inside and out? What do you REALLY want to say to Kristen Stewart? Hey Kristen Stewart…..Prepare to get Bisected. Burritos dunkin donuts jason bourne Jerry Gergich Kristen Stewart Shouting at Kristen Stewart spotlight Tacos Where is Rob Pattinson?